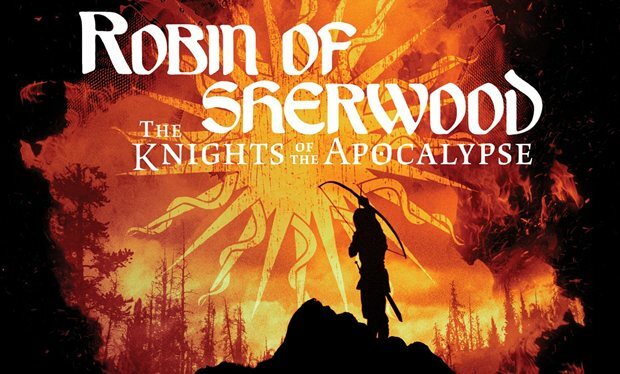 You may remember, way back in the mists of...well, September last year, we shouted about a crowdfunder headed up by our very own Barnaby Eaton-Jones with the purpose of bringing Robin of Sherwood back, this time in audio format. It reached its initial funding target in under 24 hours and the full amount raised was more than £30,000 with the extra money after production costs being donated to two charities, the Red Cross and The Sherwood Forest Trust. Since then, Barnaby and co have not been idle and, despite a change in production companies, the promised full-cast audio drama is now completed! The Knights of the Apocalypse was penned after the end of the television series by the creator of Robin of Sherwood, Richard Carpenter, but never filmed and the original cast, including famous names like Jason Connery, Mark Ryan, Judi Trott and, yes, Ray Winstone, reunited to recreate the feature length story. Jason Connery said at the start of the crowdfunding process “My time in Sherwood was spent working with wonderful actors who became lifelong friends, and behind it all was Richard 'Kip' Carpenter's brilliant writing, whose scripts we brought to life. 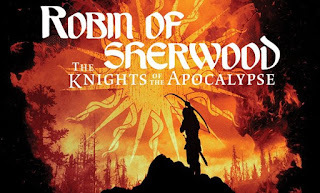 After many false dawns, I can finally say that 'Robin of Sherwood' is coming back. And so am I! The Hooded Man is ready to face the evil machinations of the Sheriff of Nottingham again, surrounded by my wonderful band of Merries, in a brand-new audio adventure written by Kip himself. We may be a little older and wiser in real life but, on audio, we're forever young and golden-haired." Now you can hear that for yourself as the audio trailer got released on Saturday, courtesy of Radio Times, and the audio drama itself will be available soon.